SONY has recently rolled the latest update center app update. Now the app version changes from 2.1.1.A.10.3 to 2.1.1.A.0.13.2. 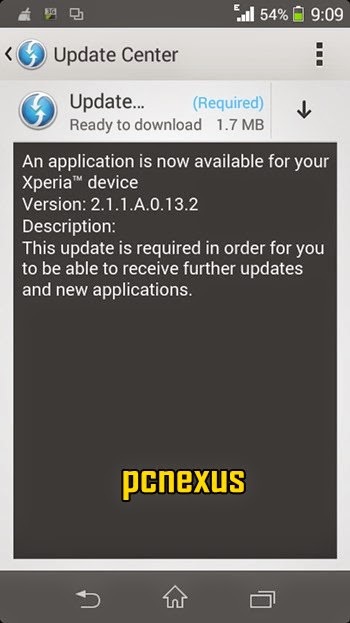 The update center app is required to download all the SONY media apps and xperia system updates on your phone. This new update is required to get further newer updates from SONY. Open update center app and tap refresh. Tap the arrow to download the file. The app size is just 1.7 MB. Update Center 2.1.1.A.0.13.2 APK Download Click Here.